October 2nd-6th is college week here at ISD! A week where the ISD High School celebrates higher education through visiting university representatives, teacher hosted informational sessions on the college they attended, presentations on how to choose the best fit in a college, and a school wide promotion of higher education. This week is all about getting our students to think about university and explore schools in places they may not have thought about before. We have two visiting schools on the ISD campus during college week with presentation options for both students and parents. You know the kind of place that offers a comfortable, safe, energetic learning environment - a place that will get the most out of you and mold you into a person who will shape the future? We're that kind of place. Welcome to Northern Kentucky University, a growing metropolitan university of more than 15,000 students served by more than 2,000 faculty and staff on a thriving suburban campus near Cincinnati. Located in the quiet suburb of Highland Heights, Ky. - just seven miles southeast of Cincinnati - we have become a leader in Greater Cincinnati and Kentucky by providing a private school education for a fraction of the cost. While we are one of the fastest growing universities in Kentucky, our professors still know our students' names. And while growth in numbers and reputation is wonderful, we are not satisfied with this success. What if the best university in the world was in Canada? 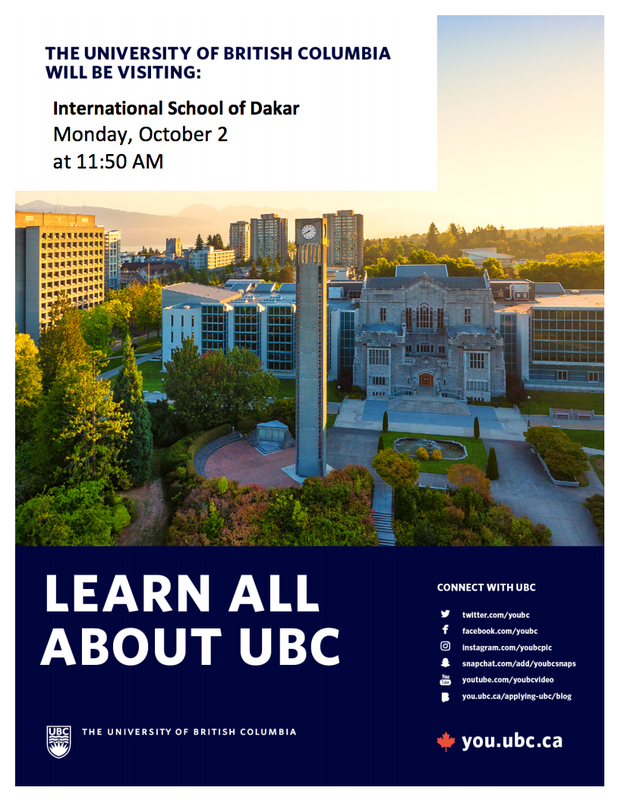 Come learn about study options in Canada, and how students from all over the world choose the University of British Columbia. UBC is consistently ranked among the top 40 universities globally. With a campus in Vancouver and the Okanagan, on the west coast of Canada, students discover an environment that is perfect for their personal experience. A wide range of academic programs, and a focus on active learning, lead to employable degrees that are recognized around the world. Learn more about the international student scholarships programs available, and the application process that is student focused. 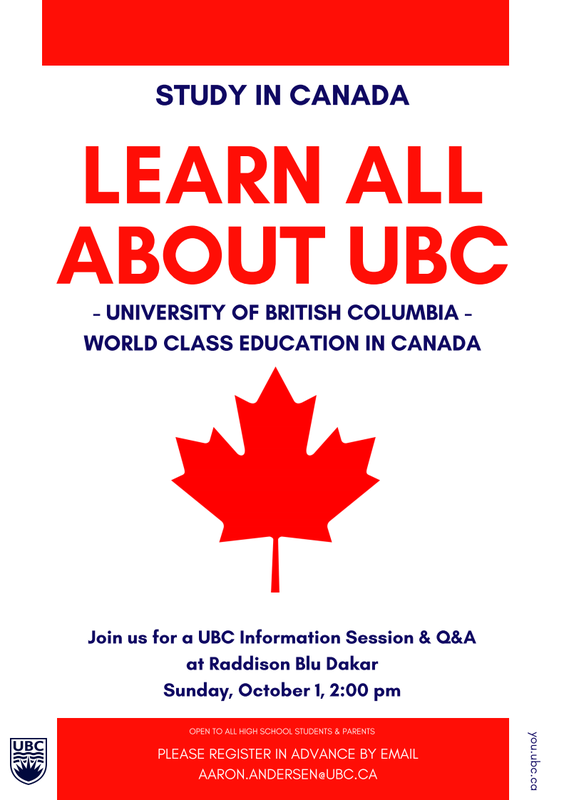 Come discover Canada and all about UBC! If you were unable to attend the recent parent workshop on mindfulness presented by visiting consultant, Tim Burns, please email one of the school counselors and we will send you a link to the video. We are Thrilled to announce that next week, January 18th-20th, mindfulness expert Tim Burns will be on campus to speak with our grade 2-12 students on Mindfulness and the Developing Brain. Before Mr. Burns moved into his role as professional development specialist, he was a high school teacher, counselor, and university professor. He has presented to over 3,000 schools, professional organizations, businesses and agencies across the America's, Africa, Asia, Europe and the Middle East. ISD High School Counselor, Kayla Bishop, had the opportunity to attend several of Mr. Burn's presentations at a Professional Development conference in 2015. Through the ISD Innovation Grant, the ISD Counseling Team, with support of the Physical Education department, was able to bring Mr. Burns to ISD to further educate our community of students, parents, and teachers on mindfulness exercises aimed at reducing stress, and promoting psychological well-being and physical health. On Wednesday, Mr. Burns will speak with our middle school students for two 75 minute sessions, On Thursday he will see our high school students for two 75 minute sessions, and on Friday he will visit with students in grades 2-5 and deliver one 45 minute session per grade. We encourage you to speak with your students about mindfulness and what they learned through these sessions. All ISD parents are invited to attend a parent session on Friday, January 20th from 8:30am to 10:30am in the conference room of the administration building. You can access more information about Tim Burns and his workshops at www.timburnseducare.com. Many times, the counselors come across articles or have articles shared with us that we love and get us thinking about our students and families at ISD. We will begin sharing these sources with you through Counselor's Corner on the Jag Journal. Many of the articles have to do with themes we are discussing with your students through the Social Emotional Learning (SEL) program at ISD. These common themes are taught across grade levels and can be easily transferred into conversations at home. This week's article is about awakening joy in kids through gratitude and building resilience. Two weeks ago, I led a high school advisory lesson with grade 12 students. I started the lesson by asking the students to take a moment for gratitude and share something they were grateful for today. The majority of the students in this advisory class shared that they were grateful for their parents. Many of those students elaborated by saying they were specifically grateful for the opportunities their parents had provided and the support they are given. So, thank you parents for all you do for your children. They may not often tell you, but they are certainly willing to tell others. 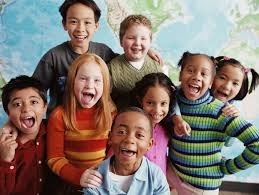 I do hope you enjoy this weeks article, How to Awaken Joy in Kids by James Baraz and Michele Lilyanna.